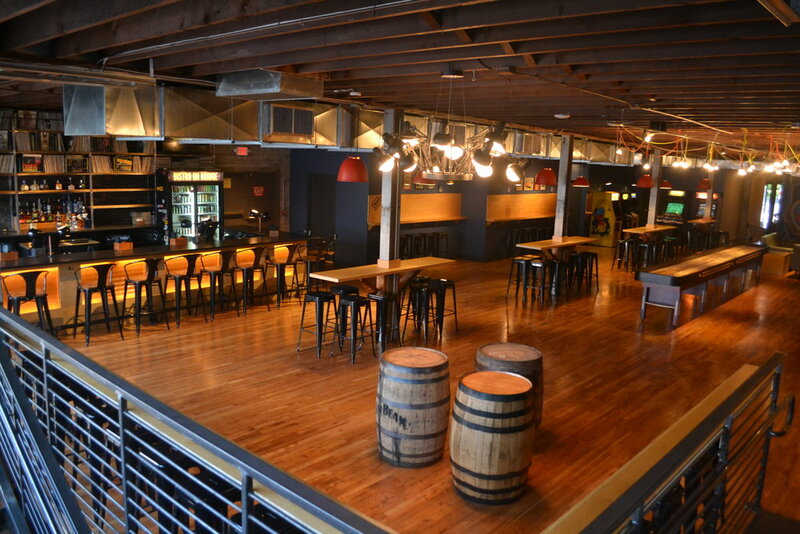 The second floor of a two story full gut restaurant renovation and design. The Analog Bar Room features commissioned murals by street artist DISTORT. A new rooftop beer garden overlooking the heart of downtown Phoenixville is complete with a custom VW van conversion "Beer Bus". The interior is equipped for fun with a large bar, retro arcade games, an indoor fireplace, and a refurbished shuffle board table.